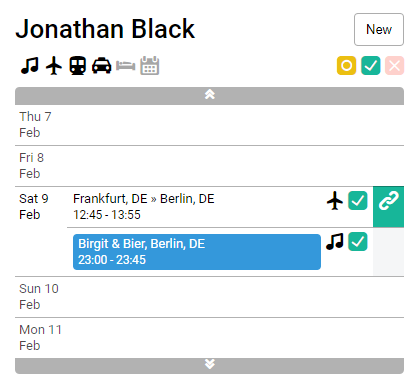 You can generate an itinerary per event including all the relevant show information, contacts and logistics, such as flights, ground transport and train rides. How to add or link travel items to a show? Navigate to the detail view of a show and select New in the logistics panel. 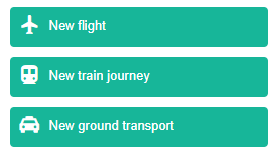 Add either a new flight, train ride or ground transport. After the travel item is entered and saved, you can see that it is added to the schedule. Note that the link icon is marked green, which indicates that the flight is linked to this show. Only the travel items that are linked to a show will be included in the itinerary. 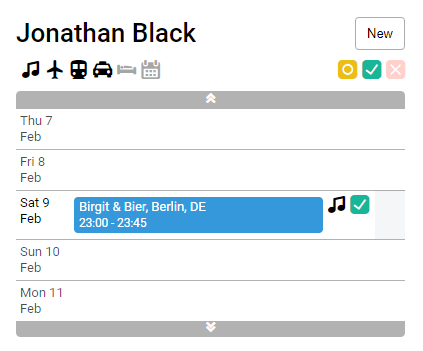 In case there is a travel item that is part of the artist's schedule, but not linked to the show, you can simply click the link icon and link it to the show. How to generate an itinerary? Navigate to the Export panel. From the Export panel you can open the itinerary as a Word or PDF file. In case there is no itinerary template uploaded in your System One account, or if there is not a suitable itinerary uploaded, you can use one of the itinerary templates below and upload them in your System One account here. Here you can review a filled out itinerary from a demo booking.